Has your staircase got a case of the doldrums? If you are searching for fun ways to spruce up your living space, try painting your stairs using vibrant colors and cool patterns. Don't know where to begin? Sherwin-Williams provides fabulous color selection tools that help you find the perfect hues for your home. First, choose colors that suit your space with Chip It!™, an interactive tool that assists you in finding the perfect shade to match your motif. Here's how it works: simply snap a picture of your space (or use an online image that inspires you) and Chip It! 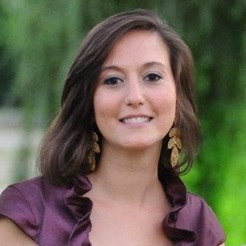 generates a personalized paint palette of up to 10 colors that match! Once your palette is assembled, you are free to play and fine-tune the shades to suit your tastes. When you're done, simply save your color palette to your personal library so you can access it anytime or share it with friends on your social networks. Once you've found your colors, choose a pattern. Need some ideas? 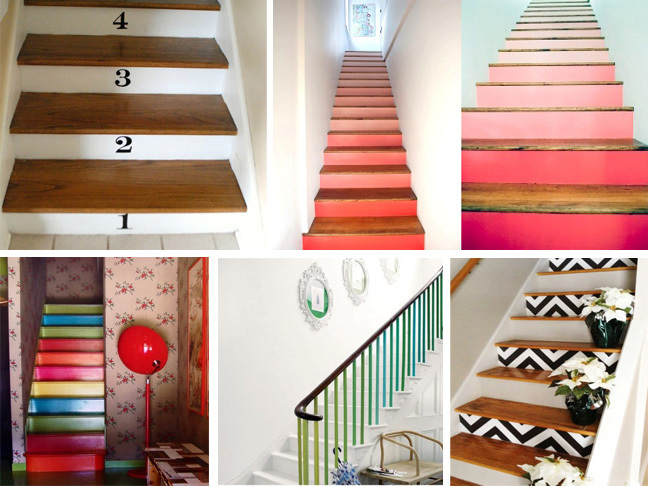 Take a peek at these creative painted staircases, and start stepping toward your next home-improvement DIY paint project. Feeling whimsical? 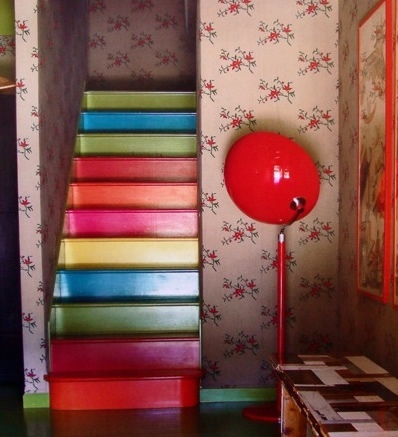 Try this lighthearted look in your home with a vibrant rainbow staircase. Step out of the dark and into the light by choosing your favorite color and using a spectrum of shades to create this uniquely beautiful effect. Love chevron? 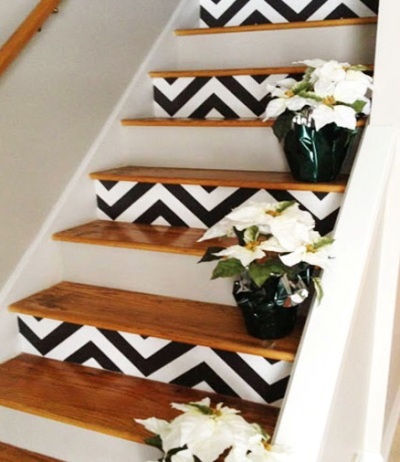 This popular pattern has been popping up everywhere, so why not splash it on your stairway? 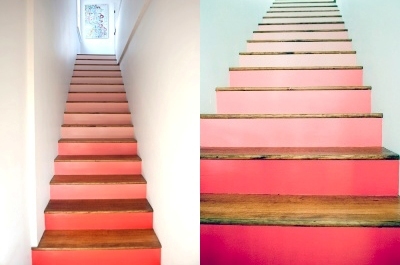 Want to add some color to your staircase without messing with the steps? 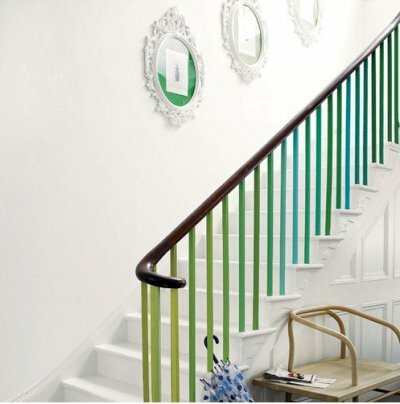 A painted banister is a beautiful way to give your home a color burst. 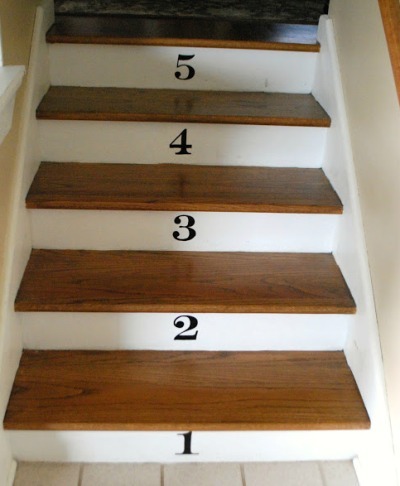 Perfect for homes with toddlers who are just learning their one two threes, or for anyone who loves a little whimsy, these numbered stairs are wonderful in more ways than we can count. 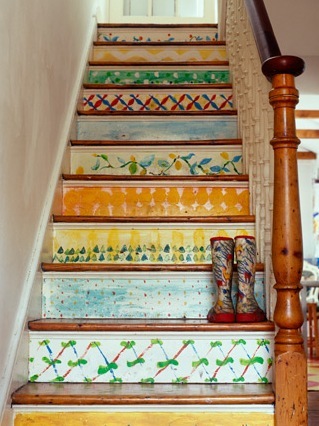 Let your staircase showcase your artful side! Use this space as a way to display your creative talents, and get the kids in on the fun by letting them paint, too!